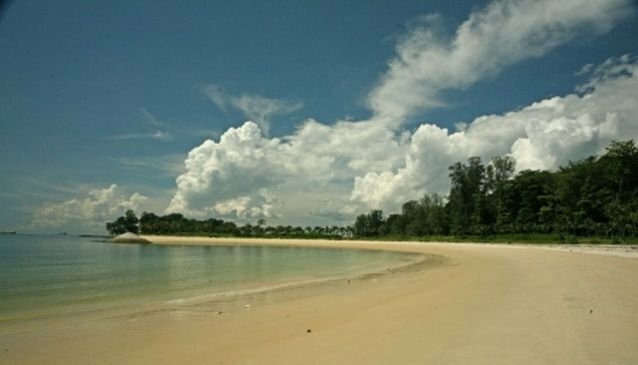 Situated at almost 6.5km south of Singapore from Marina South Pier, St John's Island previously known as Pulau Sekijang Bendara, offers a nice setting for a serene getaway from the hustle and bustle of the city. Come and relax with your friends and family for a casual picnic on the beach, then wander through the island's many twisting tracks to explore its rich flora and fauna. Did you know that the 39-hectare island was the site of Sir Stamford Raffles's anchorage before meeting the Malay chief of Singapore in 1819? Today it is home for the Tropical Marine Science Institute and Agri-Food & Veterinary Authority of Singapore's Marine Aquaculture Centre. Although camping is not allowed on St John's island, there's the Holiday Bungalow available for booking, which comes furnished with a kitchen and sleeps up to 10 guests. For larger groups, Holiday Camp 5 offers accommodation for up to 60 people.